Well, this one is a little bit naughty but it is meant to be a fun edgy love card. I hope you enjoy the humor in this robot card. Sentiment: You turn me on. Hubba Hubba. Supplies: Unity Stamp Co. Hubba Hubba and Gina and Me stamps; My Creative Time Stitched Mini Frame Arrow Dies and You're Brilliant stamps; Ranger Ink and Copic markers. With Spring on my mind, I wanted to incorporate flowers and friendship. The sentiment sure makes this a great friendship card. I used the colors of turquoise, coral and grey. 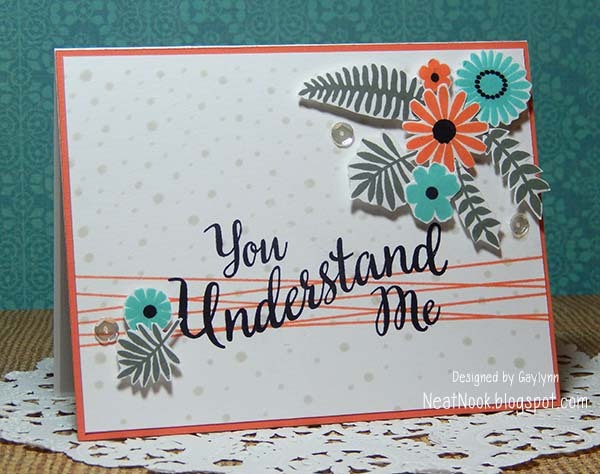 Supplies: MFT Stamps Desert Bouquet, True Friends, Whimsical Wishes and Snowfall background; MFT ink Coral Crush, grout gray, steel blue and summer splash; Pretty Pink Posh sequins. Here is another love card for Valentine's Day. Sentiment: All of me loves all of you. 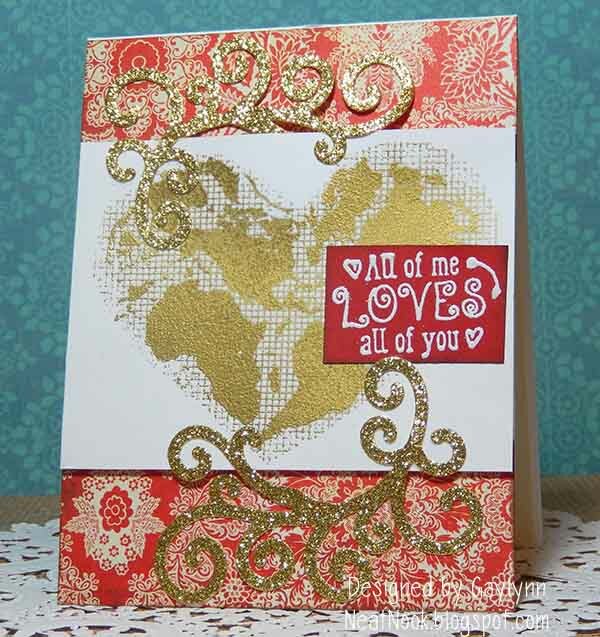 This one features a gold heat embossed heart with glitter flourishes. I made a little love tag with this sweet sentiment. Simon Says Stamp ~ Work It Wednesday January 2016 New flourish dies, New to me world heart stamp, New gold embossing powder. The Card Concept #46 ~ A Warm Heart "Classy & Elegant Style"
613 Avenue Create Challenge #158 ~ Anything Goes option "Anniversary"
Supplies: Unity Stamp Co. World of Unity and No Remedy For Love, MFT die-namics, embossing powder and BasicGrey paper. 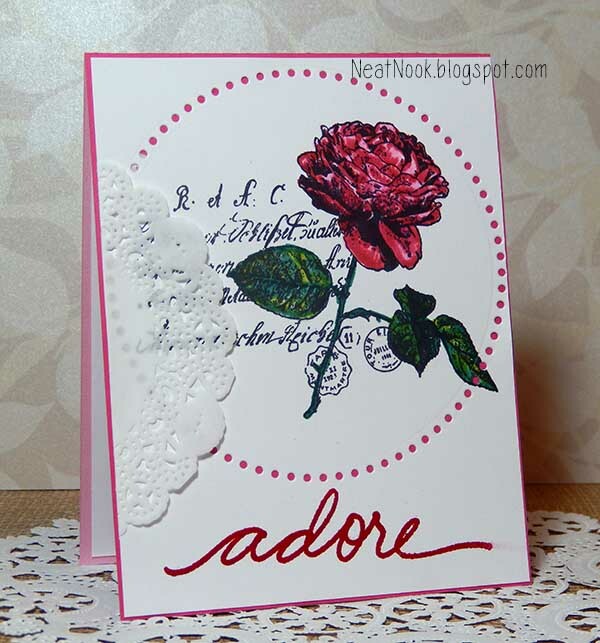 Today I want to share a romantic style flower card. I like the feminine look of this in pink and red with the pretty rose flower in the center. This is one of the love and Valentine's Day creations that I am working on. Using my new circle peek a boo dies and my new flower stamp. Supplies: Unity Stamp Co. Roses and Prayers by Graciellie Design and Adore Words by Donna Downey; My Favorite Things Die-Namics, doily, red embossing powder and distress markers.